Just as BB’s China and Glassware, located in the former Blackwell Furniture Building at First Avenue North and 25th Street, has decided to close, local urbanite David Carrigan (above) has purchased the building and plans a sensitive, creative renovation. 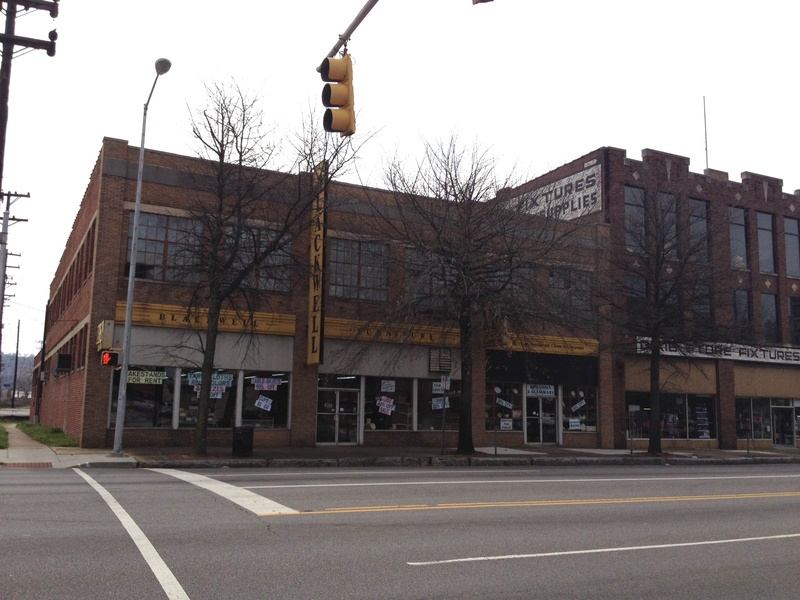 His business–William and Carrigan Stone–will move into a portion of the building, while a stone yard will be located across Morris avenue to the rear. 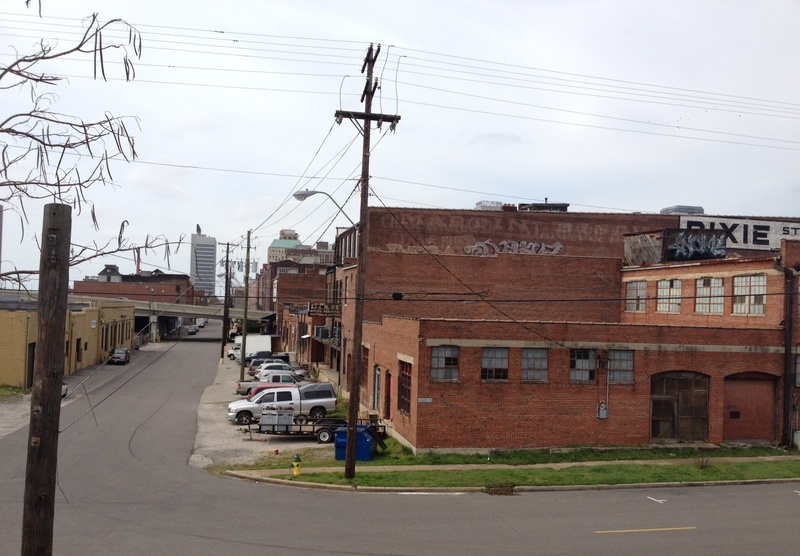 As seen above (looking west on Morris with 25th Street in the foreground), the building has lots of old, warehouse-y character complete with arched openings, original steel frame windows, and a loading area. Carrigan has quite a bit of square feet to play with–and is currently considering potential mixed-uses. Bracketed by an abandoned freeway ramp to the east, and the railroad to the south, the property has lots of potential. The rooftop views are terrific. 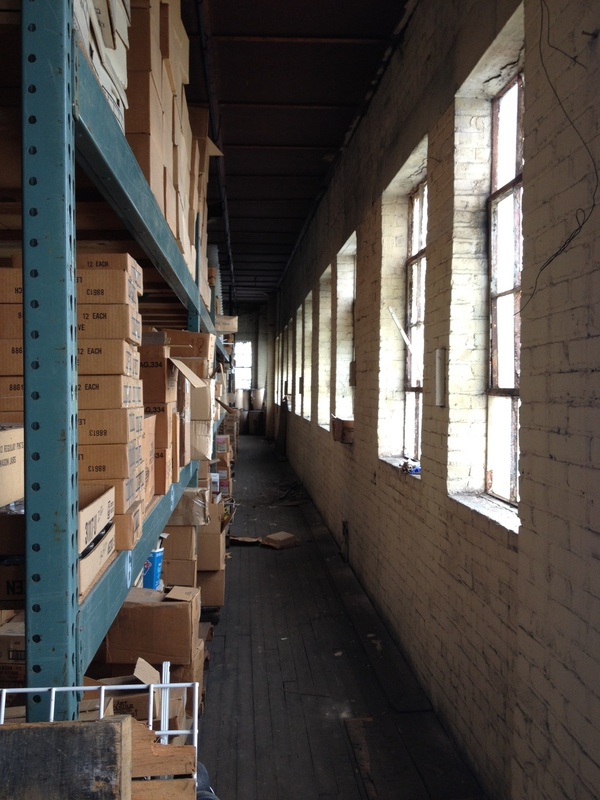 Inside, exposed brick walls, wood floors, timber columns and beams all hint at intriguing possibilities. There’s even a massive painted mural that, once cleaned, will be super-cool. 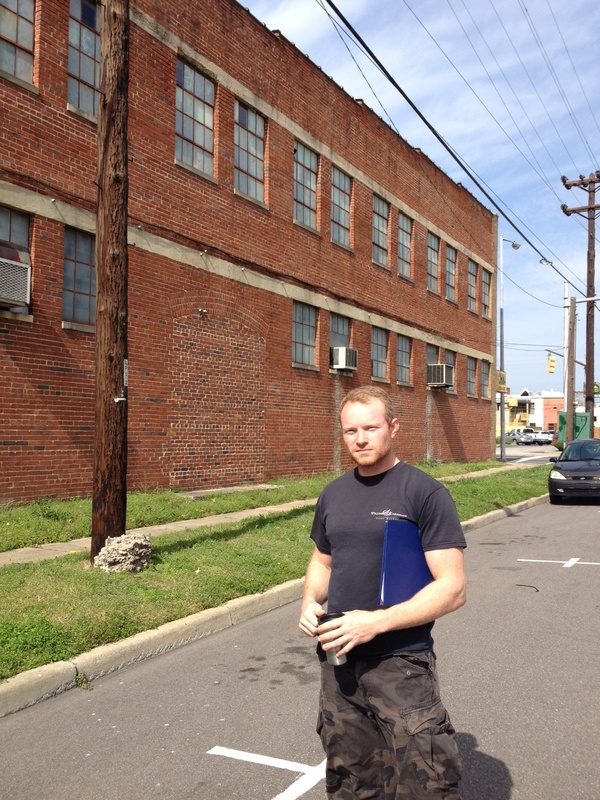 As Birmingham continues to struggle with limited financing available for private projects, it’s heartening to see a steady stream of small entrepreneurs like Carrigan continue to invest in the downtown core. We eagerly anticipate further news about this project.